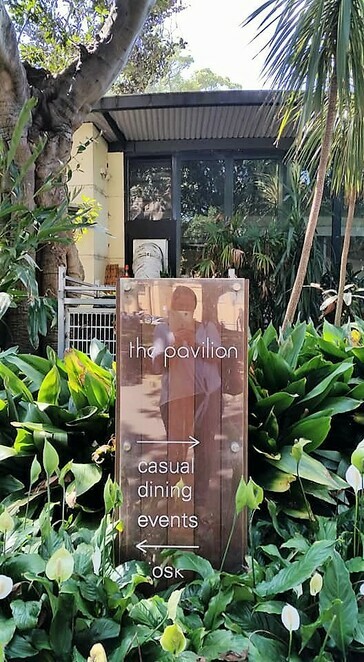 The Pavilion Restaurant is located opposite the Art Gallery of NSW at 1 Art Gallery Rd, The Domain. 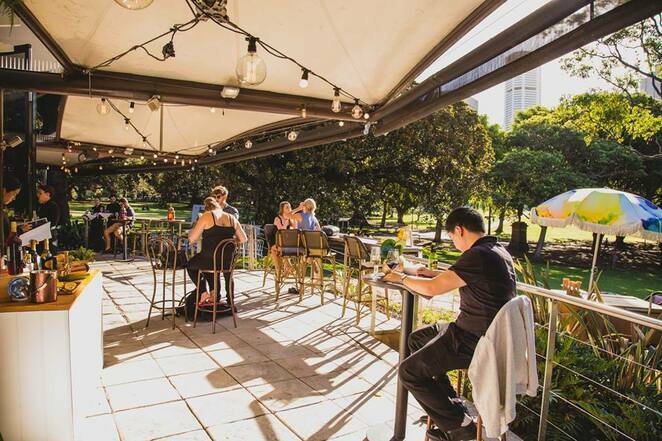 A hop, skip and jump away from the CBD, it truly feels like you are worlds away from the bustle of the city. Situated in parkland, it's well worth a lunchtime escape, but also worthy of a visit any other time. It is also a great function venue if you are on the lookout for a central location with lush surroundings. There is indoor seating, outdoor seating, plus a more casual Kiosk area located on one side complete with outdoor and terrace seating. 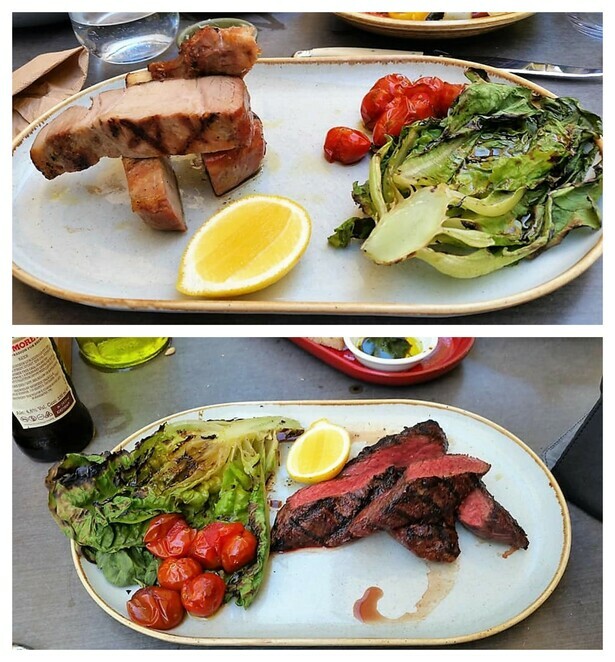 For lunch we enjoyed the Calamari Fritti with basil, parsley, lemon, aioli at $18, and from the grill, we had the 300grm Pork Cutlet at $27 and the 300grm Kangaroo Steak at $28. All items from the grill are served with roasted cherry tomato, grilled cos salad and lemon. 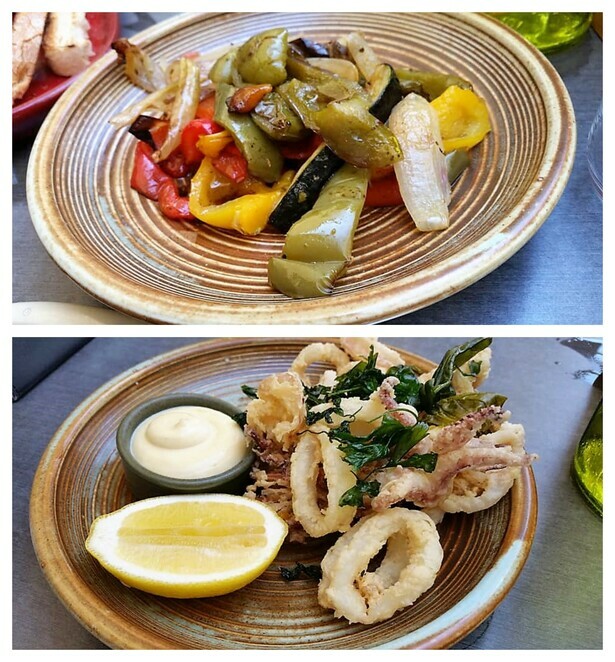 We also had a serving of Roasted Mediterranean vegetables on the side. Sides are $10 ea or 3 for $25. The kids menu at $20 includes a drink and a dessert with the usual suspects of fish and chips, pasta, or steak / chicken tenderloin with chips. 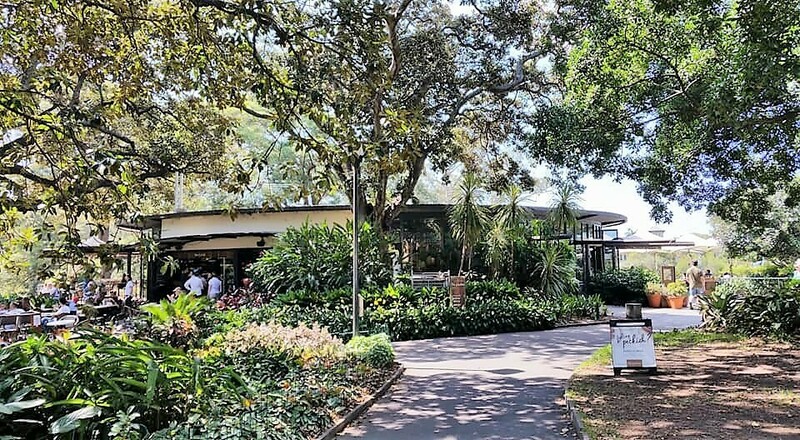 They currently have a weekday lunch special on as well as a bottomless spritzer feast on weekends that represent great value. It was a gorgeous sunny day when we visited so we followed up our lunch with a stroll through the Botanic Gardens, down to Mrs Macquaries Chair for the views, finishing up at Busby's Bar. 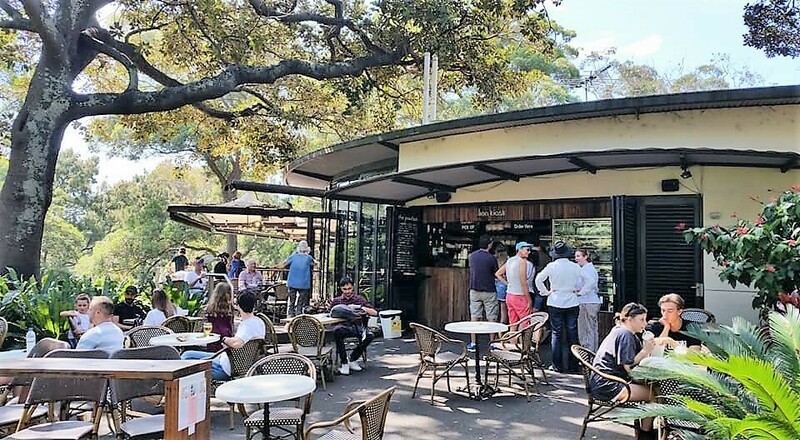 If you have some interstate or overseas guests to entertain, you are perfectly located to take in some iconic Sydney sights after your meal. For further information or to make a booking/check the menu, please visit the website.